Peter W. Newton is a Research Professor in Sustainable Urbanism at Swinburne University’s Centre for Urban Transitions where he has led ARC Discovery Projects on Sustainable Consumption and Green Economy Transition as well as AHURI and CRC SI projects on urban (greyfields) regeneration. Since 2011 he has been a Research Leader in the CRC for Low Carbon Living where he has researched and published on decarbonising cities and households. His most recent books are: Urban Consumption (CSIRO Publishing 2011), Transitions. Pathways Towards More Sustainable Urban Development in Australia (Springer 2008) , Technology, Design and Process Innovation in the Built Environment (Taylor & Francis 2009) , Resilient Sustainable Cities (Routledge 2014) and Decarbonising the Built Environment (Palgrave Macmillan, 2019). 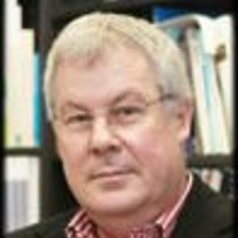 He is a member of the Board of AURIN (Australian Urban Research Infrastructure Network) and is a Fellow of the Academy of the Social Sciences in Australia.